Our happy couple being interviewed. 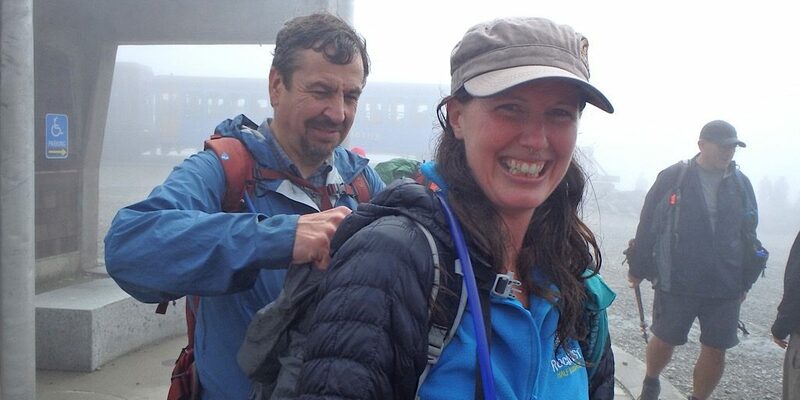 Connecting hikers in a forever bond on some mountain top or in some wilderness area is one of the things we do. And we love doing it. And it’s exactly what we did on August 18th, 2018. 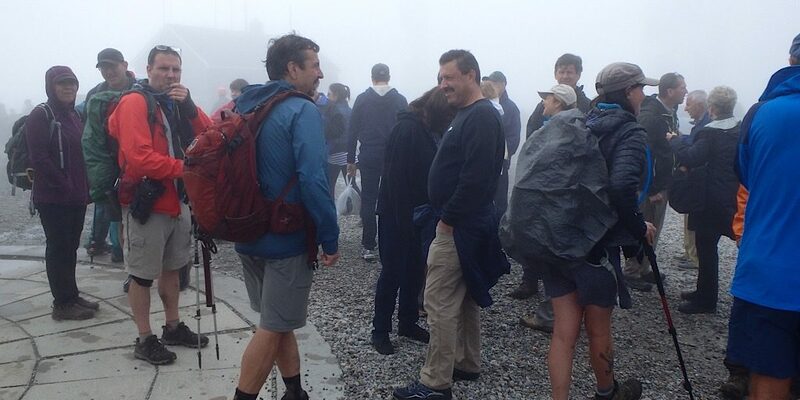 On that special day our New Hampshire Justice of the Peace and Redline Guiding owner, Mike Cherim, united Hiker John with Hiker Jen, ’til death do they part, on the summit of the 6288-foot Mt Washington. For those who don’t already know, this is the tallest mountain in the northeast and it is a force to be reckoned with, notorious for its fierce weather. Exemplary of this is the fact that the human-observed surface wind-speed world record is from a 1934 Mt Washington wind event where the speeds were clocked at an astonishing 231 miles-per-hour. Don’t worry, it was less on this day. It’s a busy summit, serviced by rail and road. There was, in fact, a bike race happening on the east side during which a steampunk gathering was happening on the west side, both on this particular day. Knowing this, the notion of quiet mountain solitude never entered our minds. For that particular quality there are many other choices to be had in the White Mountain National Forest. The particular quality found in the choice of Mt Washington is in thanks, however, to the very services mentioned. 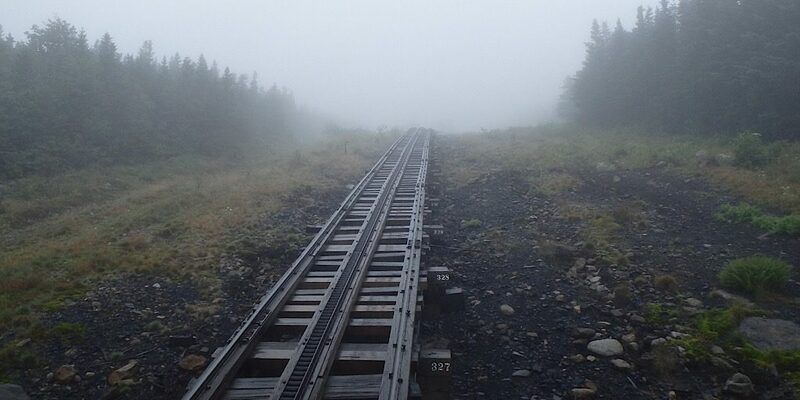 The Mt Washington Auto Road and Mt Washington Railway, you see, both offer non-hikers a means of gaining the summit. 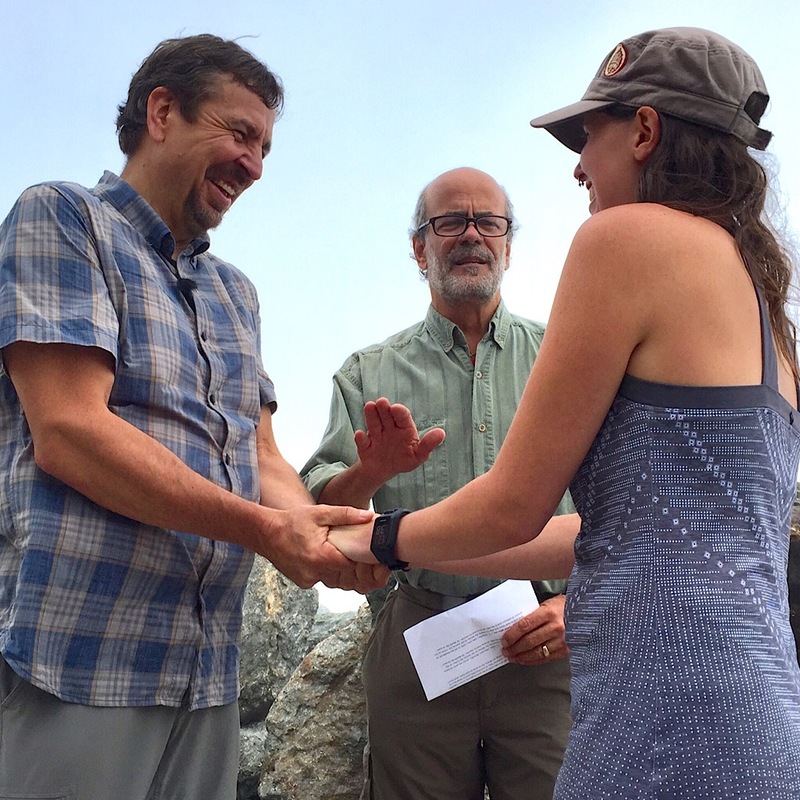 This was a perfect compromise between the mountains and our hikers, and the bride and groom’s non-hiking friends and family. And while solitude and quiet wasn’t found, a fairly quiet and accessible summit nook was found to be perfect for all. 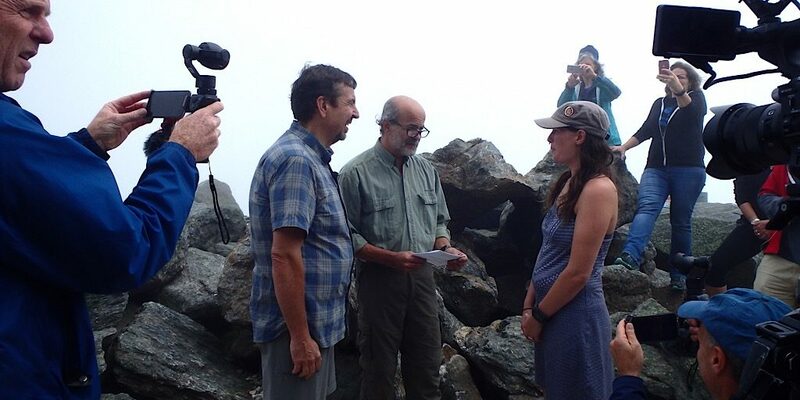 The forecast was less than perfect, and the bride and groom got rained on during their hike up. Still awesome. 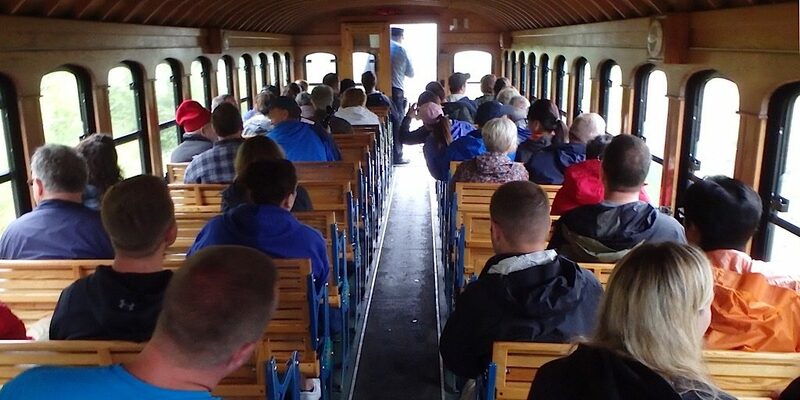 The majority of those in attendance, some non-hikers as well as some hikers rode the train up as a matter of convenience. One additional thing about this wedding that decidedly set it apart from just about all other weddings is that it will be on television (and on the web) at some point in the future. 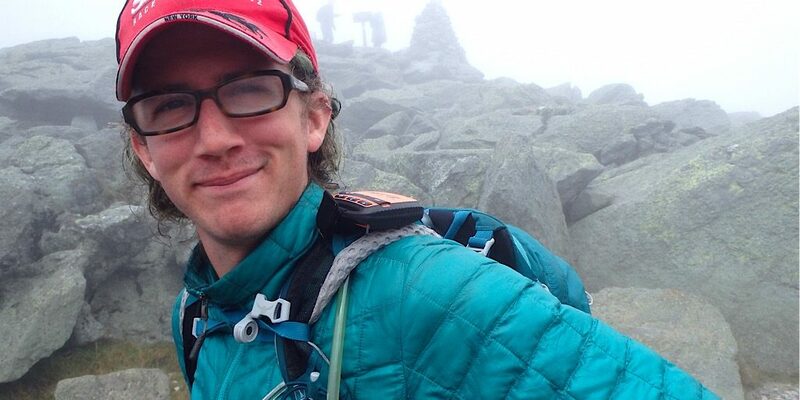 To be specific, coverage of this particular wedding will be featured on the award winning New Hampshire Public Television (NHPTV) show “Windows to the Wild” hosted by Will Lange. 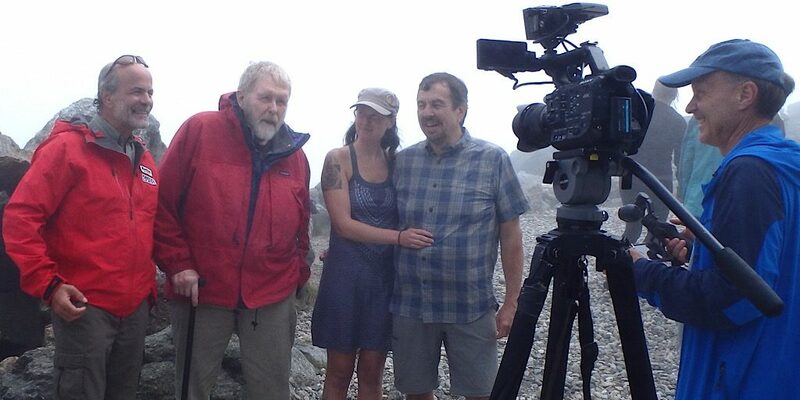 They were keen to show their viewers a real Redline Guiding mountain wedding. When this will air is yet unspecified but the months of planning and shooting have come to an end. Now it is in the hands of the producers and editors. We were promised an update once known and we will post a link to it once we know the details. Needless to say, everyone involved was excited by this. And there was Adam, too. 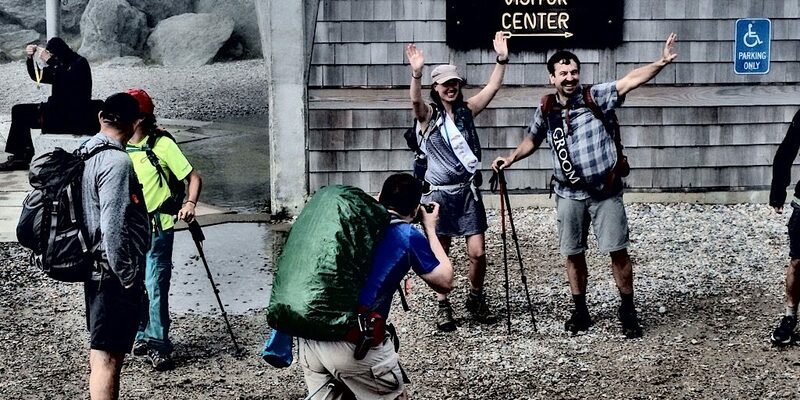 He had just hiked over 100 miles in the past 8 days, but wasn’t late to the wedding. John fishes something out of Jen’s pack. They’re still just boyfriend and girlfriend at this point. In 15 minutes this’ll change. Lghts, camera, action. The wedding of John and Jen, take one (and only). In a nutshell: Do you? Yep. How ’bout you? Also yep. Done deal. Photo by Frieda Squires. It’s interview time for Mike the JP, host Will Lange, and Jen and John, now wife and husband. 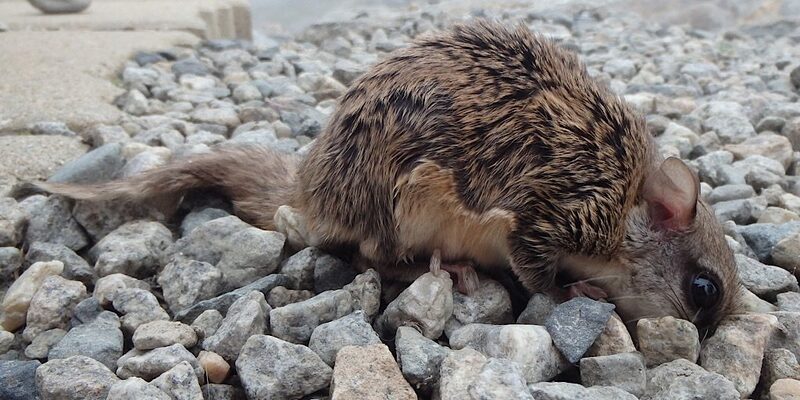 9 out of ten cultures agree: spotting a human-habituated flying squirrel during a wedding is good luck. The bride and groom wave the train off as they prepare to hike down. After the wedding Mike and his wife, Barb, were invited to a lovely reception at Christmas Farm Inn in Jackson. 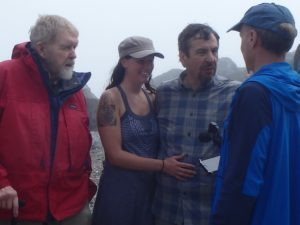 As a couple of newlyweds themselves, they had hiked with John before, plus there is a kinship, a special bond, in the hiker community, so the invitation was gratefully accepted. Thank you so much for making us part of your wonderful wedding and reception, and of course for choosing us to make it all official (and get it on TV). Update: See the video here. Congratulations John and Jen… you have found the one!